My newest ebook, “Grey Scourge”, is now available for purchase on Amazon.com! Hope you all like it. A man-killing beast terrorizes the countryside surrounding the town of Vaudain, and the local liege-lord has offered a princely sum of money to anyone who can present him with its carcass. Drawn by the chance of some hard coin in their purses, the penniless mercenaries Kozef and Ceinan join forces with an estimable wolf-catcher and begin the hunt. The creature proves, however, to be more ravenously aberrant than they ever could have thought possible – and the mystery of its origin is revealed to be darker than they ever could have imagined. A medieval adventure novelette. 16,500 words. 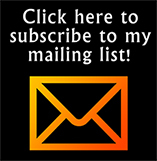 My new story, “Leathern Men“, is now available for purchase at Amazon.com. 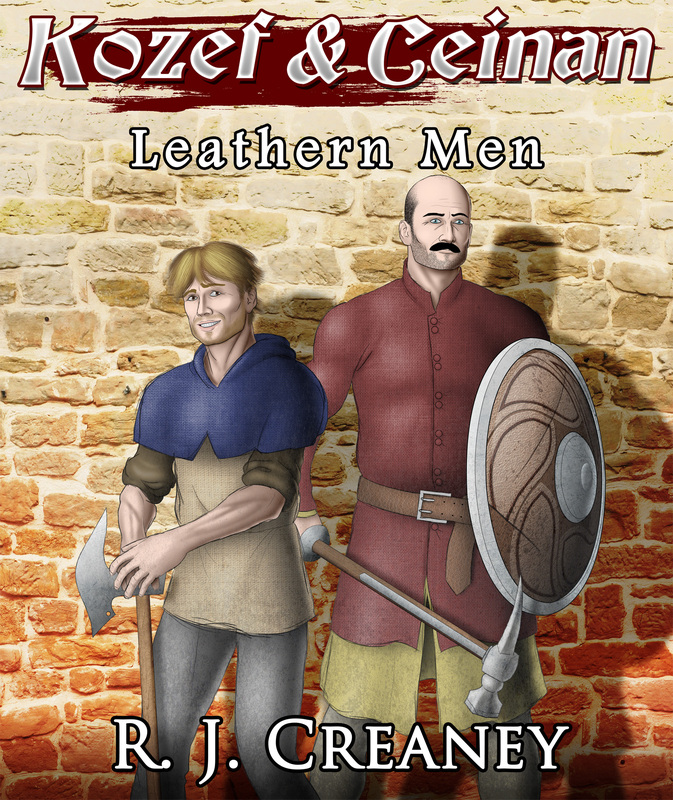 It’s a medieval adventure story, the first to feature itinerant mercenaries Kozef and Ceinan, two characters who I expect to spend a lot of time with in the future. It’s a 15,000-word short story, so it’s very long as far as short stories go, being and a few thousand words shy of novella length. As always, hope you all like it. 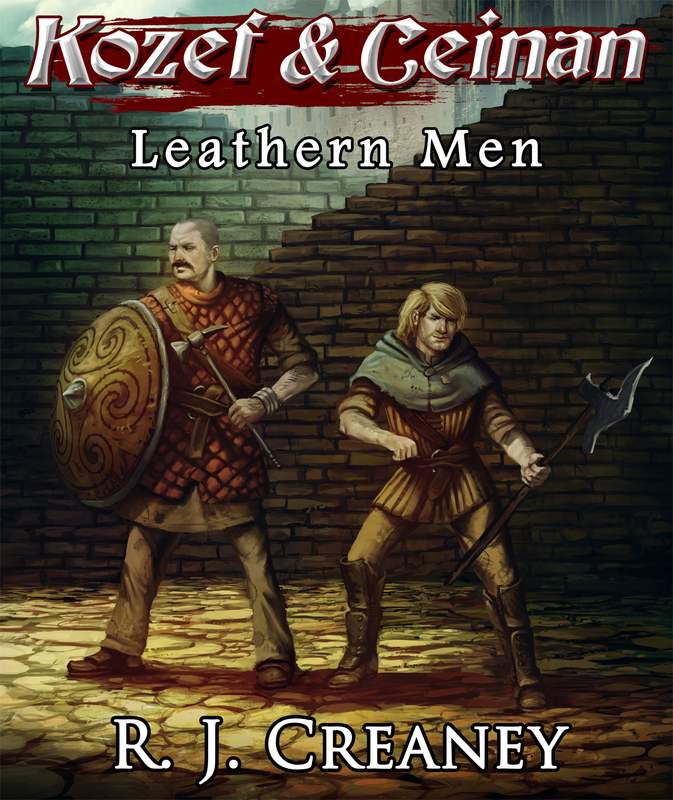 Kozef and Ceinan – itinerant soldiers of fortune and hard-on-their-luck seekers of glory – agree to evict a band of violent thugs from a small city inn in exchange for food, drink and lodging for the night. The ruffians, however, prove to be journeymen of the Tanner’s Guild, the criminal syndicate that dominates the city of Thieudan through violence and intimidation. Kozef and Ceinan draw down the hostility of the entire guild and must fight to save not only their own hides, but also the lives of those who they first set out to help.